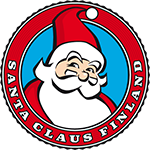 Santa Claus Finland - Finnish Santa Claus is authentic and warm-hearted. Finnish Santa Claus is authentic and warm-hearted. Santa Claus is known and loved all over the world. He is kind and fair. Santa inspires everyone to care for one another. He brings joy to everyone’s lives since joy is a common language. the North Pole is breathtaking and nearly untouched. The world of Santa Claus is filled with magic that can be felt during Christmas time. Christmas awakens positive and touching emotions in all of us. These feelings can be experienced in December. Santa Claus represents values that are easy to relate to. We want to make the world better according to the values of Santa Claus.